Mike's studio has other functions than the creation of Girl Art. 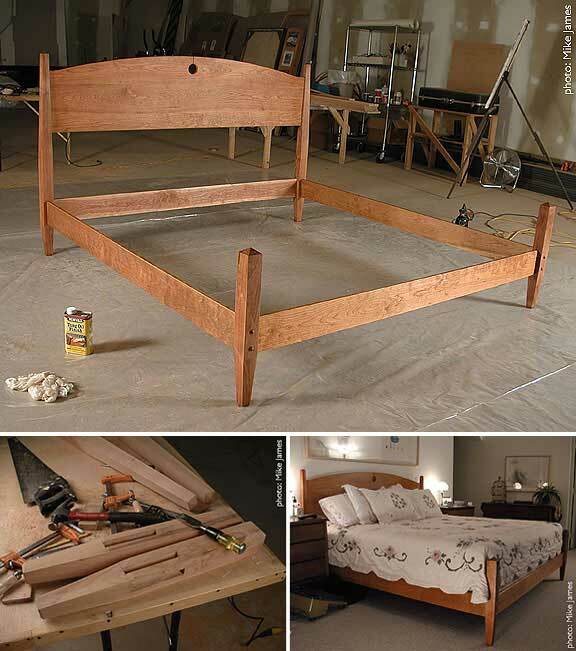 Here's a bed he made. This is not a "kit"... He actually cut and planed all the lumber by hand from a big, rough log of cherry. Mortise & tenon joints are hand-chisled. And it's his own design as well.